Margery vows to have a Merry Christmas, even if it kills her! The yuletide season has always cursed Lady Margery Fortescue with bad luck. This year the cottage roof caves in. So she reluctantly accepts an invitation to a house party---only to be accosted at a nearby inn by a rogue too handsome and too rich to have any sense. While he does graciously propose, after he realizes she is a lady of Quality, Margery ungraciously declines. 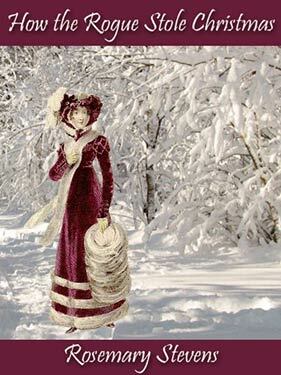 But when the arrogant Lord “Reckless” Reckford and his wicked grin appear at the same holiday gathering as Margery, she mistakenly concludes that the unrepentant rake is determined to steal her Christmas ---or even worse…her heart!